A book review can be a powerful marketing tool for you and it is FREE! 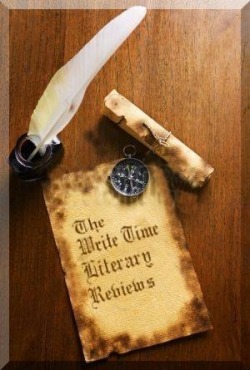 The Write Time Literary Review is a group of book authors and others that love to read. The Write Time Literary Reviewers are committed to helping authors. Our time and dedication has brought us a lot of notice, and through our dedication we’ve developed interaction with numerous publishers who openly send in the requests for reviews. Once your book is reviewed, you can use the review on your sell sheets, on your next book, on your website, on Amazon.com or anywhere you sell your books, you can use portions of the review on the back of your business card, on post cards, bookmarks, anywhere anyone will see that someone else thought your book was great. We will not post nonconstructive reviews. Reviews will be emailed to you before displaying it to our site. Please allocate up to 60 days to allow delivery of your review by email. Due to the vast rejoinder we are evaluating and reviewing as prompt as we can! If you are in a rush, use our Quick Review Service. The book reviews you submit for posting here at The Write Time Literary Review become the exclusive property of this company. By submitting a evaluation to this site, you are yielding The Write Time Literary Service indefinite rights to employ that review in any way we see fit.